Wondering how exactly you can benefit from N08904 stainless steel? This article has you covered. Not only will it explain the characteristics of N08904, it will also explain its best and most common uses. Let’s get into it! What is N08904 Stainless Steel Made Of? N08904 stainless steel falls into the austenitic class of stainless steel. Austenitic stainless steels are characterized not only by their low magnetism, but by their high nickel content and low carbon content as well. N08904, in particular, contains high levels of nickel, high levels of molybdenum, higher-than-usual levels of copper, and low levels of carbon. These ingredients together are extremely resistant to corrosion. How Does N08904 Stainless Steel Stand Out? N08904 stainless steel stands out from other stainless steels in a variety of ways. Below, we’ll discuss the unique characteristics of N08904. If you’re looking for a stainless steel which thrives around high temperatures, N08904 stainless steel has got you covered. This stainless steel maintains its structural integrity to well over 700 °F (371 °C). Not to mention, it almost never suffers from heat oxidation. Due to its extreme heat tolerance, N08904 is often used for heat treating purposes. Metallurgists use heat treatments to alter the hardness or softness of metals. In addition to being able to withstand high amounts of heat, N08904 can also withstand high amounts of corrosion. Because of this, it’s often used for applications which involve acidic environments. Companies which work in close proximity to salt water will often utilize N08904 stainless steel. Though it’s not the easiest to bend of all stainless steels, N08904 is still fairly easy to bend; especially considering its hardness. This allows it to be shaped in a variety of different ways, accommodating quite a few applications. It should be noted, though, that N08904 has limits. There are some shapes that it just cannot accommodate. Because of its extreme heat tolerance, N08904 takes to welding like a fish in water. Whereas some stainless steels tend to oxidize under the high heat of welding, N08904 stands strong, presenting essentially no physical or structural scars whatsoever. While some stainless steels take to welding better than N08904 does, those stainless steels don’t offer the same levels of corrosion resistance and bendability as N08904. What Can N08904 Stainless Steel Be Used For? Compared to many other stainless steels, N08904 is used for few applications. However, it’s still got its advantages, and is still used for enough purposes to make its existence worthwhile. N08904 stainless is used to make everything from pipes, to wires, to fittings, and more. Generally, N08904 products will be used in situations in which corrosion is a major concern. For instance, industries which deal with sea water often seek out N08904. Whether you know it as N08904 or 904L have you decided that this stainless steel is right for your purposes? Looking to buy N08904 stainless steel? If so, we here at Great Plains Stainless have you covered. 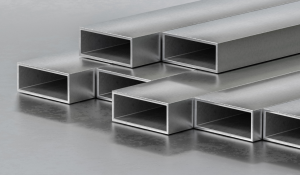 We offer a variety of N08904 products, from bars, to pipes, to flanges, to plates, and more. These products are available in all different sizes.